Work collaboratively to educate taxpayers as to their rights and responsibilities within the taxlaw. Work jointly to educate tax professionals and tax administrators through improved communication, team work, and timely dissemination of information. Provide education, assistance, and feedback to legislators in the development and review of federal, state and local tax law. Jointly develop solutions to problems which impact on the effectiveness and efficiency of tax administration. At a meeting of veteran AFIT members, the tax practitioner community expressed that the greatest benefit to themselves and the taxpayers they represent is the opportunity to have an ongoing dialogue with liaisons from IRS and ADOR, who have the same interests in solving problems and understanding issues that affect Arizona taxpayers. A representative of IRS to AFIT states that at AFIT, an issue can be brought forth by any tax organization so the issue can be taken back to the agency for discussion of the spectrum of consequences of possible action. 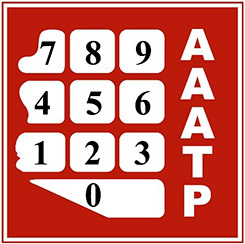 AFIT provides a forum for contacts between Internal Revenue Service, the Arizona Department of Revenue and the AFIT Board of Directors. An ADOR representative, as liaison to the AFIT Board, values this forum as a place to identify and solve problems before situations worsen and ill-will arises. He notes that even if a total solution is not possible, then at least a compromise can usually be reached. The spirit at AFIT is to attack the problem, but never an individual. Members work together in a cooperative, not an adversarial spirit.